Xlear, Inc. is committed to providing consumers with the health benefits of xylitol, a naturally occurring sweetener, by manufacturing all-natural, health-enhancing products. Some of these include: Xlear® Nasal Spray, an award-winning, patented saline and xylitol solution; a complete line of dental health products under the Spry Dental Defense System® brand; XyloSweet®, raw xylitol crystals used as a sugar substitute in cooking, baking, and general consumption; and Spry Gems, a growing line of healthy, xylitol-based mints with leading pH values. Thanks to Moms Meet and Xlear I was able to try their Xlear Care Kit. Xlear Nasal Spray- Xlear is a soothing nasal spray that helps to alleviate congestion due to allergies, cold, flu, and sinusitis. It does this by being much more hyperosmotic than a traditional saline nasal spray and also by incorporating xylitol, a natural product that has been shown to decrease bacterial adherence in the nose. When used twice a day, Xlear nasal spray not only hydrates the sinuses and nasal passages but it also helps to wash away airborne contaminants and pollutants that lead to many common upper respiratory problems. Unlike many prescription or medicated sprays with unwanted side effects, daily usage of Xlear Nasal Spray is non-addictive and will not damage tissues. Spry Toothpaste Non-Fluoride- The use of Spry Toothpaste can significantly improve oral health, when combined with proper oral hygiene and regular dental care. Spry Toothpaste consists of 1/3 xylitol, which provides 20-25% of the recommended dosage per day. Xylitol also increases mineral absorption into the enamel of the teeth, resulting in greater protection with a clean, fresh feeling that really lasts. Spry Oral Rinse- Spry Oral Rinse takes a more natural approach to oral health by using a xylitol-rich, low-alcohol, and pH-neutral formula. It also uses a mix of natural flavorings and herbal extracts such as aloe vera, chamomile, and echinacea to help soothe irritated mouth tissues. Spry Oral Rinse is available in Cool Mint, Spearmint, Wintergreen, and Cinnamon flavors. Spry Gum- Xlear Spry Gum has a flavor profile that exceeds regular chewing gum with the added benefit of xylitol. Spry Gum is available in four natural flavors: Spearmint, Wintergreen, Cinnamon, and Peppermint. Spry Gems- Xlear Spry Gems are naturally sweetened with 100% xylitol. Spry Gems combine the benefits of xylitol with natural flavorings and calcium to create a pH-balanced formula for advanced oral health. Spry Gems are available in Berry, Cinnamon, Peppermint, Spearmint, and Lemon Cream varieties. I loved everything in my kit. My fiance found a Nasal Spray that actually helps him. He suffers from allergies which causes him to be congested all the time. After using it for two days, he noticed a huge difference. Now let's talk about the oral hygiene products. 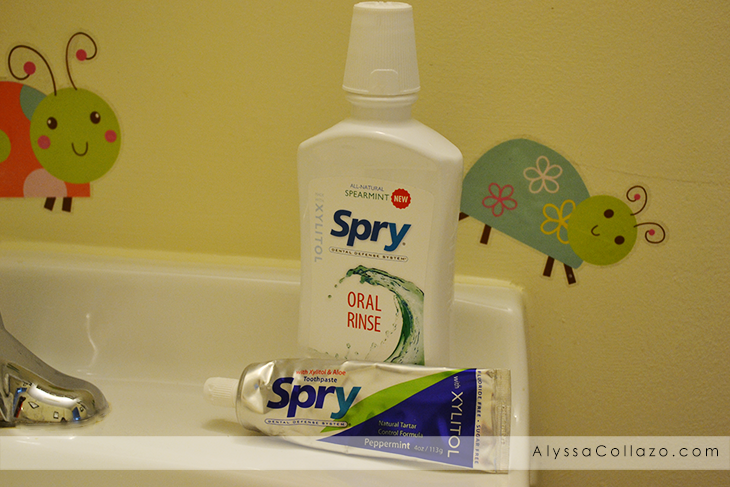 I started using the Spry toothpaste and oral rinse right away and noticed a whiter smile within days of using these products. The Spry Gum and Gems were perfect for my girls. They loved the Lemon Cream Gems. They definitely taste like Lemon Cream! The benefits of xylitol are pretty amazing and Xlear has found a forever fan. The addition of xylitol to saline nasal sprays, neti pots, and positive pressure bottles has been shown to make them more effective at helping to prevent ear infections in children, sinus infections in adults, and asthma and allergies in people of all ages. Xylitol helps the body’s natural cleansing process to clear away allergens, asthmatic triggers and other harmful bacteria. Xylitol is also one of the newest, easiest and tastiest ways that people can improve oral health. Research done in widely different conditions confirms that xylitol use may reduce tooth decay. Want to try Xlear? You can get their Xlear Care Kit (valued at $65) for only $25 by using the code SAVE50. Visit xlear.com/xlear-care-kit-special to order. Be sure to follow Xlear on Facebook and Twitter. I have really bad hayfever and it's been so hard the past few weeks. I think I want to try that nasal spray to see if I can clear it up. That kit is a great deal! I have had xylitol in food before and it really tastes natural. I like it more than stevia. Thanks for sharing these natural products! Never tried this line of products before but they sou great. Will keep this in mind next tim. That's really interesting! I never knew Xylitol was used for anything other than sugar-free food and candy. I've never heard of this line of products, but it sounds great! I think we could probably use every one of them here at our house. I sneeze every morning! 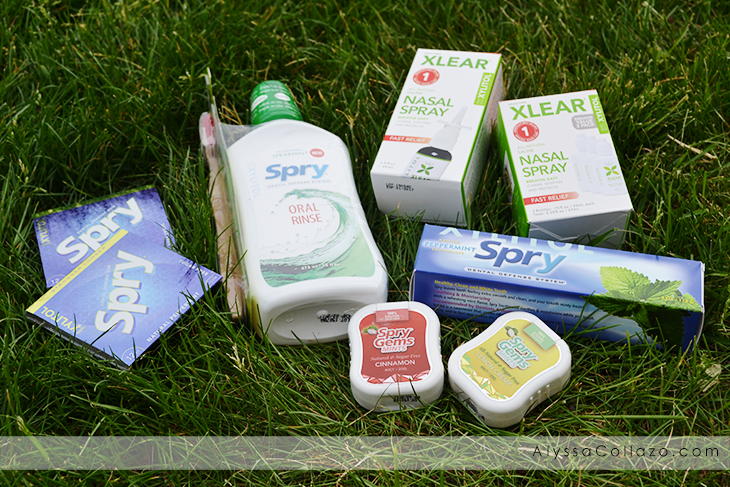 This is the first time I heard about this products, but I would love to try the nasal spray. It's probably the answer to my hay fever. I wish I had of known about these products a few weeks prior. Oh my gosh I don't think I had allergies as bad in my life! Oh man it was rough goin'. I have never heard of this brand. It sounds like it is good by your review. The price is rather good and enticing. I always enjoy learning about new brands. My son has allergies and I imagine he would benefit greatly from the nasal spray. I have been using the Xlear kit myself and really Love all of their products! I especially love the gems! I have never heard of xlear before, sounds like a great product! I'll pass it on to other people I know who could use this, this was a great review! I love learning about healthy and useful products like this. I wouldn't mind trying the toothpaste and mouth rinse. Oh we love the Spry gum. My daughter would only chew the cinnamon kind for the longest time. I have not tried any of their other products. I am slowly getting on the natural products bandwagon and these look like great ones to try. Thanks for the great review!! Sounds like this would be good for my husband's allergies. Anytime we can use natural remedies to treat our ailments, we are all over it. I am a big fan of the Xlear products! I use the Spry gum all the time. It tastes great! I've never tried any of these before. I wonder how they'd fair on a side-by-side comparison to other brands. I'm always looking for a better nasal spray for my sinuses and allergies. The Xlear products I have not heard of but would love to try them because they sound amazing. The nasal spray sound I product that I could use along with my sons. Thanks for sharing. I've got horrible allergies but am also afraid of the nasal sprays. This one doesn't seem too bad, though! I have never heard of this before but it looks like a great line of products. I will have to check them out, thanks for sharing! I would like to try the spry gum. I always have a box of gum in my purse, but I haven't tried that one yet. Love that there's a lot of flavors to choose from too. My youngest, very generously, decided to share her summer cold with me. So that nasal spray sounds like it would definitely come in handy right now. I have always had issues with my sinuses. I get a bunch of sinus infections throughout the year. I think I could benefit from the nose spray. I need to check this out. My whole family has allergies and it's horrible! I've never heard of any of these before. I love they are heading into an all natural approach with them. This is all new for me. I've not heard of Klear before. However, I imagine it might be helpful to those with allergy issues. I have never heard of Xlear before. I think I definitely would like to try out the nasal spray. My allergies have been out of control this year! i hadn't heard of these brands and I would love to try them. Xlear sounds perfect for now while allergies are driving me nuts! I've never heard of this brand before but it looks like they offer a nice variety of products to try. I've never heard of this product line but it sounds pretty awesome to me!! I'm all about toothpaste without nasty fluoride so I will have to check this out!